Remarkable and rightly preserved interior. Some spectacular decoration and a series of union murals. Still nicely subdivided in to small rooms. Good range including Moorehouse, Spinners Gold, Britons Protection, Unicorn and Cumberland. An essential stop off in the area. Lovely old pub not too far away from Oxford Road station. There's a main bar area and a separate room with a pool table. Two halves of Landlord at 3.75 were a tad overpriced but being in the centre of Manchester it's not surprising. To be fair its probably one of the better pubs in Manc that I have been to and I would definitely recommend it to anyone, the ale range is a bit 'safe'. 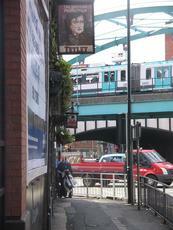 One of several unspoilt heritage pubs in central Manchester. Lovely to look at but a dull choice of beer (Robinsons). True, it looks the part. But it's been all fur coat and no knickers for years. Have never had a decent pint in this place. 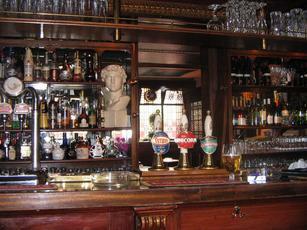 A grand old fashioned pub, narrow front bar and all sorts of nooks & crannies throughout, including a beer garden. A fair crowd was there, banter & laughter, engaged & efficient service. 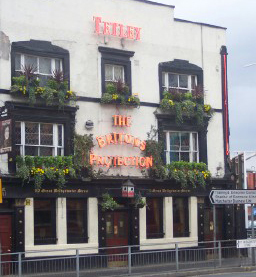 My diary says I had a pint of Briton's Protection, not sure if they had a house brand or I had a brain hiccup. Whatever, it was 3.50 & quite satisfactory. Top pub.